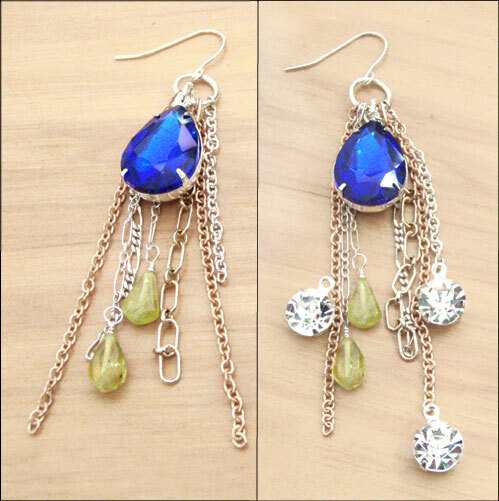 These earrings have sapphire blue rhinestone pear jewels in silver settings, with silver, copper, and golden chains in deliberately un-matched styles. 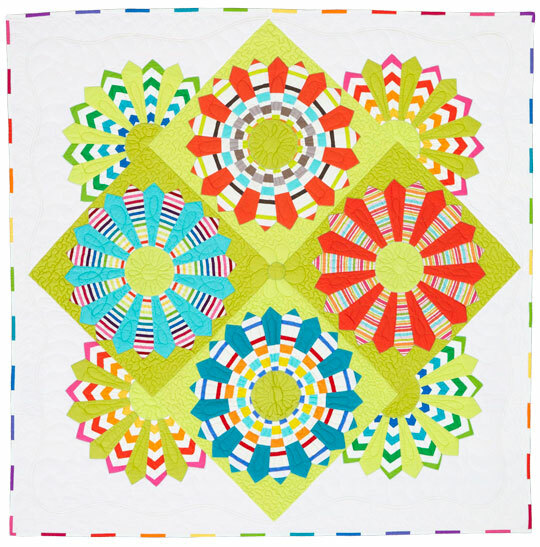 I added small yellow-green teardrops – just to give a little tangy color to the mix. Then I tried an experiment – take a look at the earring, with small crystal rhinestone rounds added asymetrically. It’s a nice way to give a little extra sparkle – and suppose you were to use small jewels in, oh, peridot green, emerald, aqua…. or pink and orange. Try it! Take this sort of design and run with it. Play with textures and colors – there is no “wrong” way to do it – and you’ll be surprised at how many designs you can create with this basic concept. Make it yours! 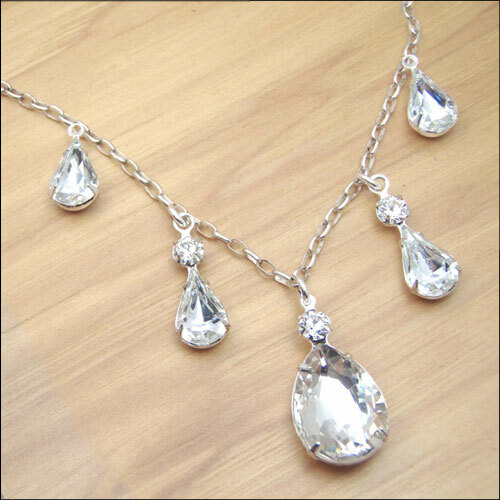 The crystal rhinestone pear jewel as a design element is repeated three times here. The central two-jewel “duo” pendant measures just a smidge over one inch long and is the focal of this necklace. Yes, it’s available here in my Etsy shop – all these jewels are (of course I used my own stuff for the example here)! I repeated the “crystal teardrop” element in two similar-but-not-identical shapes. It doesn’t have to be teardrops. Try the same idea with round beads or crystals, in ascending size to the central, larger pendant. This idea isn’t original with me – it probably started back in the Stone Age. Take the idea – run with it – make it your own! Today I wanted to talk about upcycled fashion – with the emphasis on “fashion”. Also on style, and affordability, and great, unique design. This is just what clothing ought to be. A little bit fun and original. Washable. 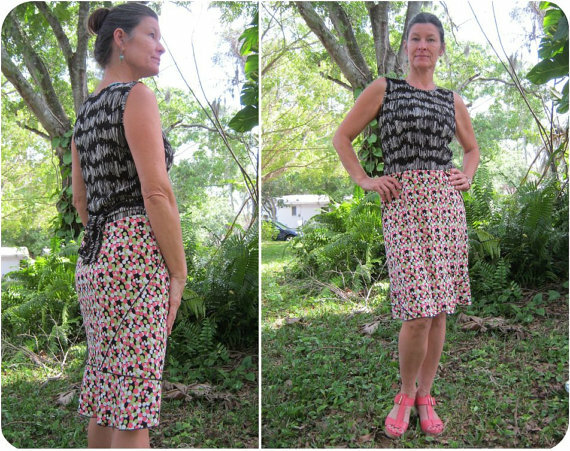 Affordable (try buying handmade garments for less!) Upcycled. And, it looks great. Interesting: I was scanning through British ‘Glamour’ magazine’s Street Style pages recently, just because it’s fun to see what real people – young, pretty, and stylish, but still real people – are actually wearing. I saw a lot of interesting outfits, which of course is why I look. NOT ONE person I’ve seen so far, has been wearing high heels. None. Flats, boots, trainers (sneakers), you name it: no stilettos. Maybe the Brits know something about comfort *and* style that we haven’t quite got to yet? I don’t usually use this word (acronym) because it’s so overused, but this time I have to: OMG, this woman’s got some great stuff in her shop! 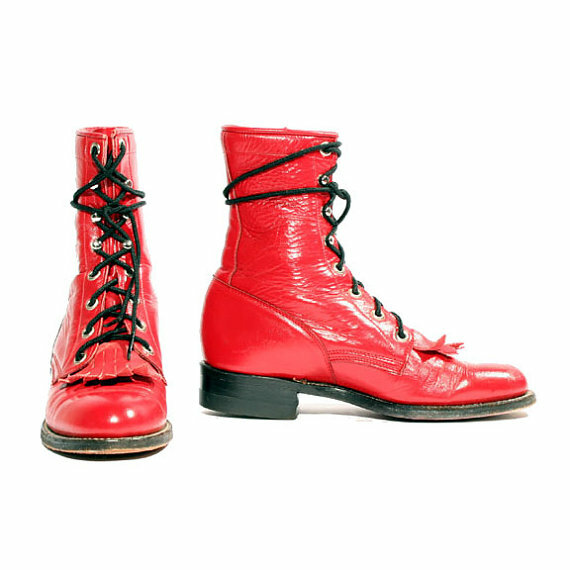 She’s Sazzafrazaz on Etsy and, well, like I said: the greatest vintage boots on the planet. AND great prices too. 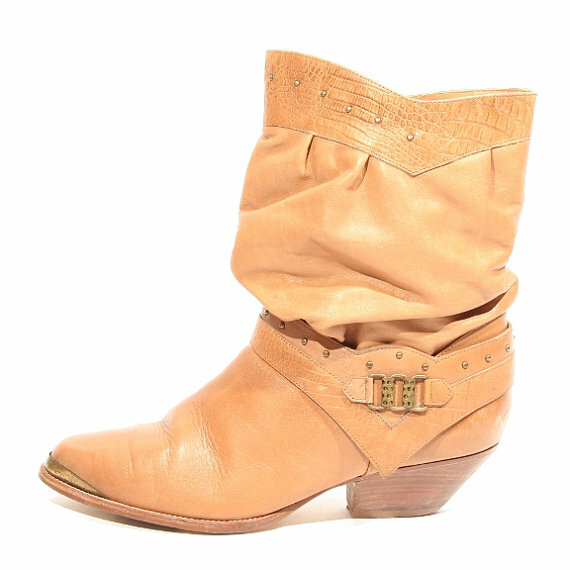 If these boots are gone, BELIEVE me you’ll find more to love. Go! Yes, I meant now! “Jewels, stones, rhinestones” – those are all words used “in the trade” (how’s that for an old-fashioned term!) 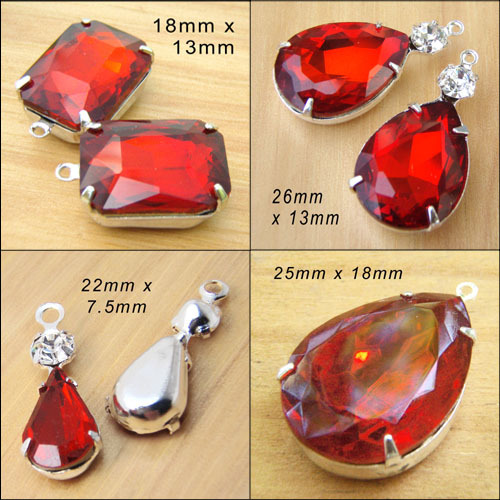 to describe the glass jewels that sparkle so beautifully in affordable costume and fashion jewelry. Truly, you don’t need gemstones to have beautiful baubles! This is good on so many levels. 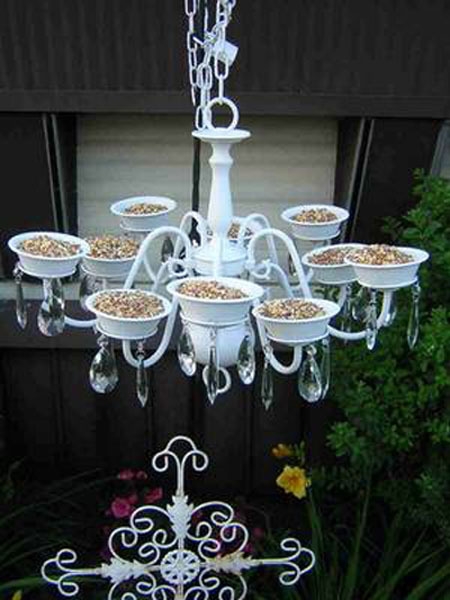 You reuse a cool vintage chandelier that comes from a thrift shop or your attic. So: recycled and re-used, which is wonderful. And: you’re feeding birds! Also wonderful. And: it looks so classy! 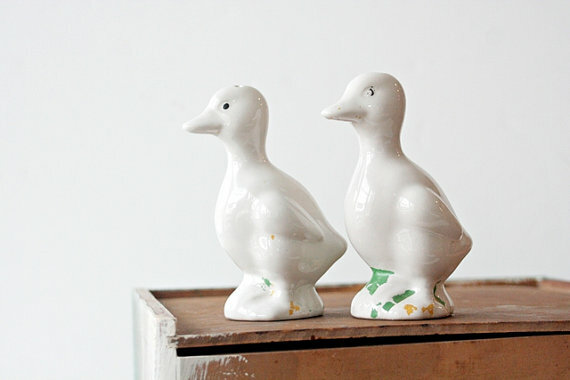 I found this fun DIY over at Craftster.org which is so full of great projects, you could surf there for a year and still be finding new stuff.